This watch is also known as: 25721.ST.OO.1000ST.08.A , 25721ST.OO.1000ST.08 , 25721ST.00.1000ST.08 . 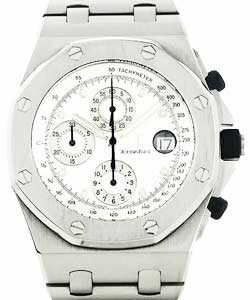 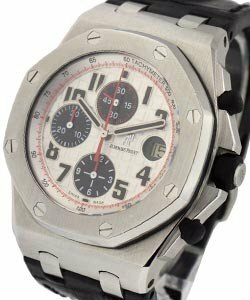 Audemars Piguet Royal Oak Offshore Chronograph watch is a sports watch that has lots of features such as a date and seconds display along with protection against magnetic fields. 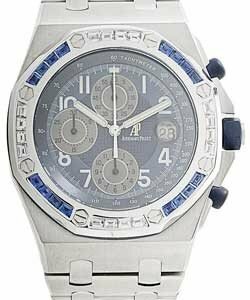 The case of Royal Offshore Chronograph is made of finely brushed stainless steel. 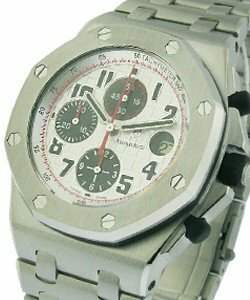 The bracelet is a stainless steel bracelet with locking clasps. 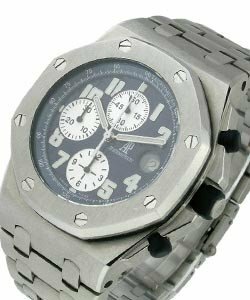 Fine, scratch resistant Sapphire Crystal glass covers this watch. 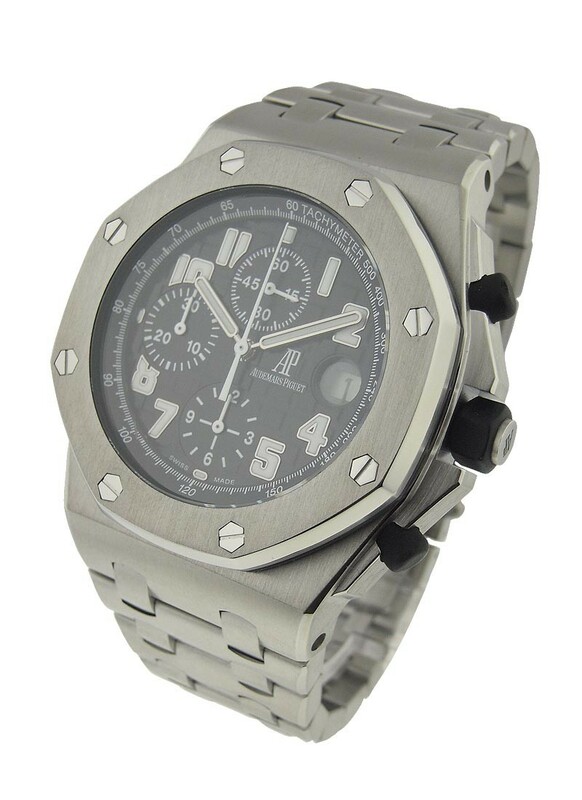 The Royal Oak Offshore Chronograph wristwatch is protected also with water resistance to 100m.